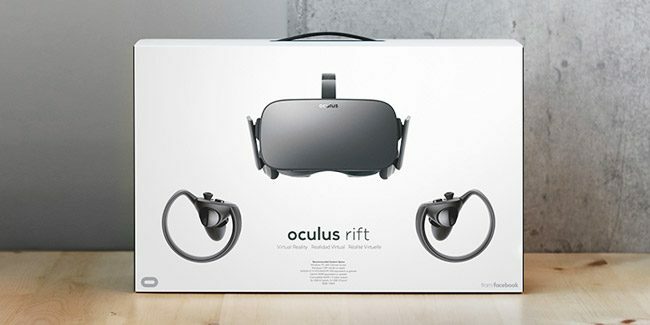 It’s that time of the year where Black Friday deals start rolling in, making it a perfect time to get your hands on an Oculus Rift at a discounted price. Both Best Buy and Amazon are currently offering $50 off the retail price of the Oculus Rift + Touch bundle, bringing the cost down from $399 to $349. This Black Friday deal includes the Rift headset, two sensors, cables, and a pair of Touch motion controllers. The bundle also comes with six free games, including Robo Recall, Luckyʼs Tale, Quill, Medium, Dead and Buried, and Toybox. A wide selection of other games and experiences are available for purchase through the Oculus Rift store. Keep in mind if you are looking to jump into a high-end VR experience, you will want to make sure that your PC system can meet the minimum and recommended specs to run VR with the Oculus Rift. Black Friday takes place on November 23rd, and you can also expect plenty of deals on Oculus-Ready PCs announced by local and online retailers in the weeks leading up to it and the upcoming holiday season.